A team of entrepreneurs from Australia have taken a bold step by launching their own Television network. But rather than think local, they’ve decided to take advantage of recent advances in technology and do it all through live streaming. Under the website address BusinessBlueprint.com the new service launched on September 1st and founder Dale Beaumont says it’s the world’s first 24 hour small business channel. Early results have been impressive with over 20,000 business owners signing up for the service within two months. Plus days ago Business Blueprint launched a dedicated App which is now available through Apple’s new TV Apps Store. "Our goal is to make business education free and accessible to over 400 million people around the world that categorize themselves as small business owners”, says Beaumont. "Currently we have over 230 business videos streaming 24/7, but in 12 months our plan is to have over 1000 videos covering every area of business, all in HD", explains Beaumont. Its founder is no stranger to business success. 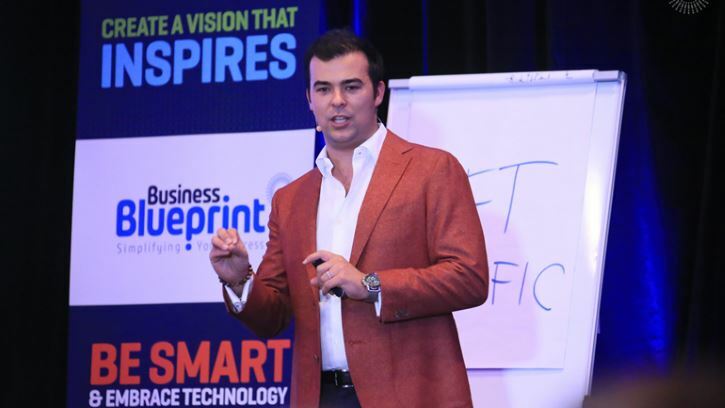 At just 34 he’s already built Australia’s most awarded business education company, sold over 250,000 books and delivered over 1000 business presentations. When asked about the websites revenue model Beaumont suggests 'that’s not our present focus'. Beaumont explains that their new worldwide streaming service is currently funded by their existing domestic business, which is based on live events and business coaching. "In time we may add other features like view-on-demand and later a subscription service - think Netflix for Business. But right now we are obsessed about creating something that business owners will love, so they keep coming back." “That means our videos must be instantly useful, recordings must be broadcast quality, and our education must be accessible on all devices." To claim your free account go to BusinessBlueprint.com and sign up to receive news and updates.